Preparing for a busy holiday season is a lot of work – is scheduling professional wildlife control on your to-do list? If you think there might be unwanted guests hiding in your attic, crawl space, chimney, or anywhere else on your property, it’s important to schedule their removal before your invited guests begin to arrive. You might be thinking, what’s the big deal if there are critters in the attic? They don’t come into the rest of the house. Why not kick them out after the holidays? You’re already so busy planning events and shopping for gifts, so it’s understandable that you might want to put off everything you can. Because you don’t want your guests to discover the wildlife that’s nesting in the nooks and crannies of your home. How embarrassing would that be? Your family will think that you don’t pay attention to what’s going on in your own house. Because you don’t want to have professional wildlife control technicians showing up during your Christmas party. 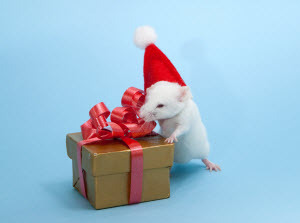 Just like your Christmas gift shopping, pest control needs to be handled ahead of time. Because you don’t want your Uncle Lou to take matters into his own hands by going opossum hunting in your attic, do you? Next thing you know, all of the guys are up on the roof looking for holes, and the ladies are taking bets on who will fall off the house. Because you put a lot of time, effort, cash, and consideration into planning events for the holidays. You don’t want it to come crashing down when your highly dramatic aunt finds rodent droppings in the pantry. Because wildlife such as raccoons and squirrels like to hide out in attics, where they tend to chew on wires. What would you do if your cable or phones cut out while your guests are there? If you think you might need professional wildlife control services, don’t delay calling in an expert. Putting it off will only complicate your holiday plans. Getting your pest control situation handled will give you the peace of mind you need in order to relax and enjoy your guests and your parties. Whether you are concerned about rodents, insects, or wildlife, the team at North Fulton Pest Solutions is ready to help. With over 40 years of pest control experience, North Fulton Pest Solutions is a premier professional wildlife control provider in the Atlanta area. We have served countless businesses and homeowners over the years. With our level of expertise, we will provide fast results so that you can go on with your holiday plans pest-free. Click here to learn how our gutter protection system can help you avoid the need for professional wildlife control in the first place.